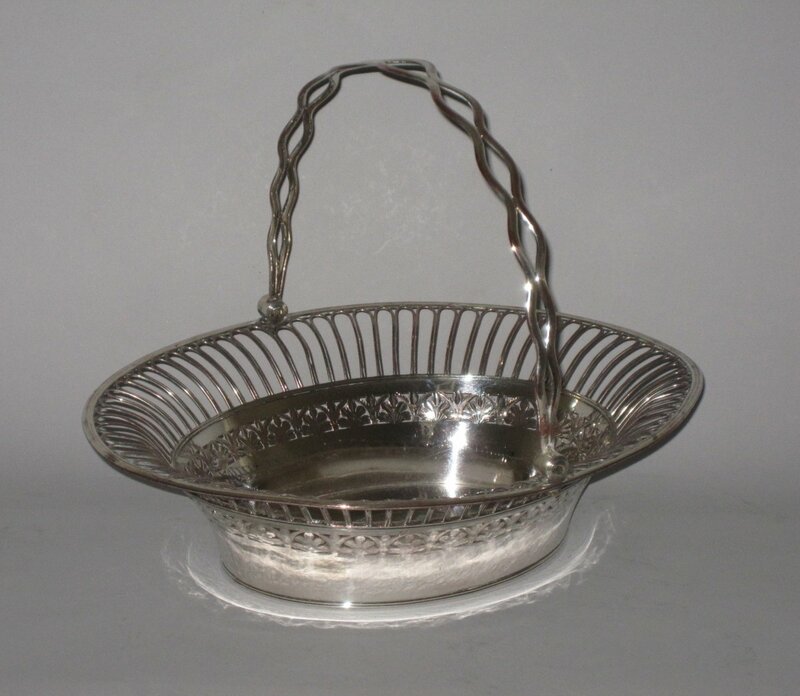 AN OLD SHEFFIELD PLATE SILVER SWING HANDLED BASKET. GEORGE III CIRCA 1785. Of oval form with a wire work body, pierced and engraved foliate decoration, the centre engraved with a foliate cartouche and initialled. Pierced wiredwork handle.